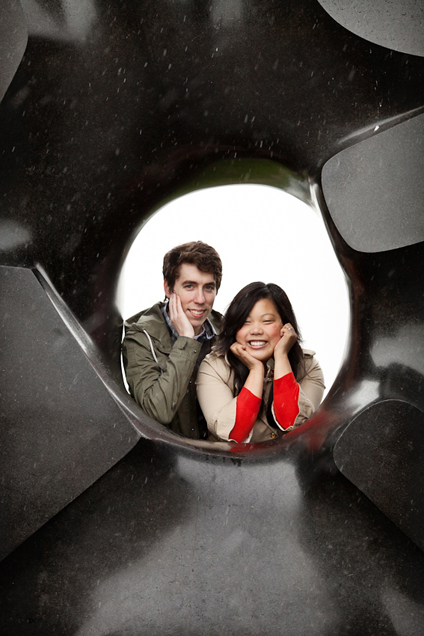 Jessica and Steven are Seattleites through-and-through, both graduates of the UW and residents of Seattle’s Capitol Hill. 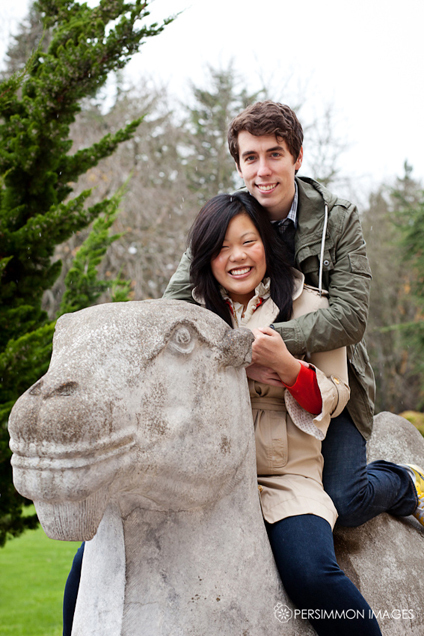 We started their engagement shoot in light snow flurries (right before our latest Snowpocalypse started) at Volunteer Park, climbing on the stone camels and the Black Sun “donut” sculpture, tossing beautiful fall leaves in the chilly air, and exploring the much warmer greenhouse. After that, we visited the Elliott Bay bookstore for a few photos with the Classics and History, which brought Jessica and Steven together. All in all, a very lovely evening and a perfectly scenic local adventure. Whenever we meet up with these two, we have a great time– as though we’re old friends. 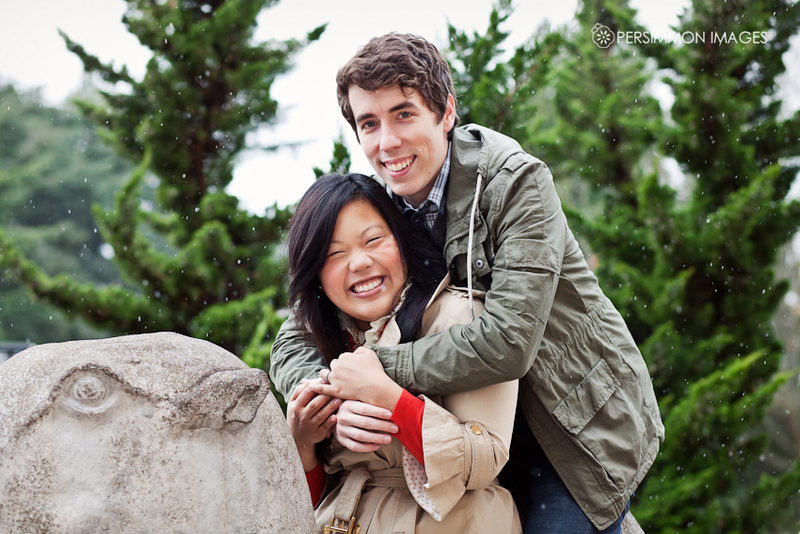 Justin and I can’t wait to photograph their wedding at Hotel 1000 next May! Seattle Wedding and Portrait Photographers Kat + Justin Speyer | © 2014 Persimmon Images|ProPhoto4 WordPress Theme by NetRivet, Inc.